Happy Friday everyone! As you are well aware, I like to support those who I believe are making a contribution in the world of the arts. Today I share with you this week’s Links a la Mode from the Independent Fashion Bloggers network (you can see the full article here). A lot of good stuff this week! Check it out, show some blog love. Bobbins and Bombshells – Celebrating first anniversary with a beauty of a give away! The prize: Pin-Up Cosmetics! BRICK MY LANE – How to give shoes a rock’n’roll edge using simple DIY ideas. CUTEMESS – How Trevor the horse and an Australian Kangaroo Paw flower came to rest on a Twelfth Street by Cynthia Vincent dress. Dirty Dirty Laundry – KABLUEY! Check out my venture into the world of blue monochromatic fashion. Fashion Grail – Love the way Chloe Sevigny perfectly combines the elegance of a scalloped Chloe blazer and cut off shorts. Fashion Hippo – Three lucky readers will receive this tee as a prize. Loved by Kate Moss and many other celebrities. Ends June 18th. 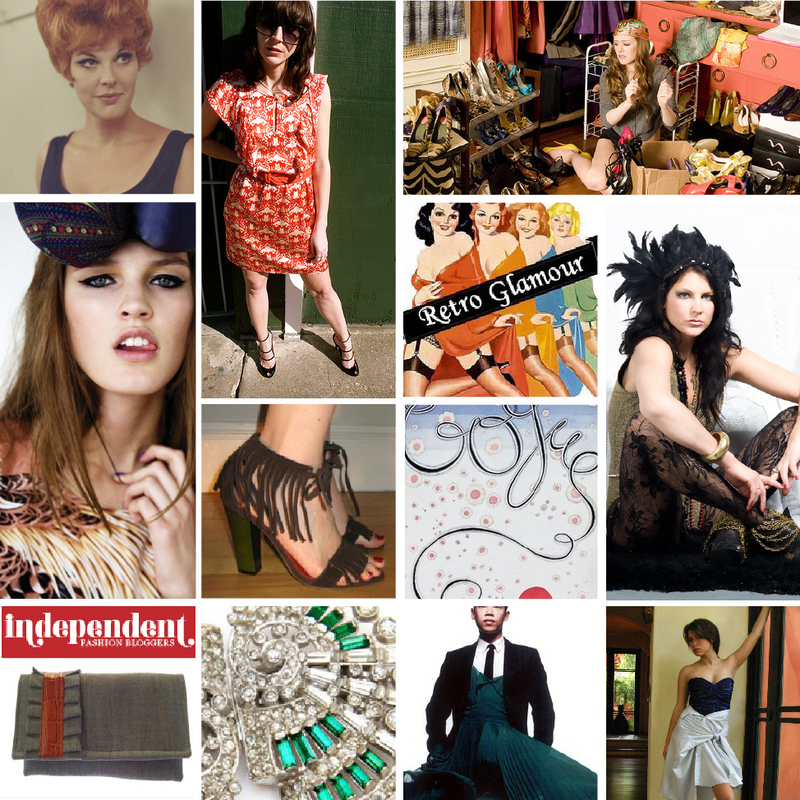 Independent Fashion Bloggers – Giveaway sites for freebie junkies. Pursed Lips Magazine – The CFDA Fashion Design Awards Promotes their Photoshoot, with None of the Women Nominees. Is something fishy? Style Symmetry – Vintage Snakeskin Bracelet Giveaway! Super Kawaii Mama – Meet Aleshia Brevard. A Vintage Style Icon you’ll never forget! THE COVETED – The perfect giveaway for vintage lovers… win at Rice & Beans Vintage. the nerdlings – The photo shoot started off well. But words were spoken that shouldn’t have been spoken and everything else just descended into chaos. Next post: What the WHAT!?! ?